Last night at dinner, I received two gorgeous cards (and presents too, but frankly the cards meant more to me). One was from Blue Eyes and our younger son. Prior to this point, I have called that son, the Peacemaker. From here forward, I will call him Sweet Sam. I named this baby boy Sammy when he was still in my belly. We found out at 18 weeks that he was most definitely, no doubt about it, a boy. My mom was rooting for a Granddaughter, even though she adores my two boys and always has, she has always wanted a sweet little grand baby girl. I am so happy she finally, more than 20 years after Sammy was born, got her little granddaughter and we all call that little girl Princess Lei Lei. We are not so thrilled six month old Princess Lei Lei lives in Tokyo. Thank goodness for texting, and FaceTime, and Skype, and airplanes, and all that. My mom did say a few times while I was pregnant with Sammy… you know Kat, if the baby is a girl, since you have been calling “it” Sammy for weeks now, you will have to name her Samantha. Indeed, Sweet Sammy was born Samuel and I am so proud of him, and his older brother. Maybe I have mentioned before how much I adore my boys. Maybe I have talked about it many times because there really is no greater joy to me than the love I am able to give to and receive from those two humans. I opened my cards and presents at dinner. You know you’re blessed when you have a daughter you really believe in–when you look at her and see, above all else, the talent and the determination to accomplish whatever she puts her heart and her mind to. That’s the kind of daughter we have in you, and if we could say just one thing to you on your birthday, it would be this: always believe in yourself the way we believe in you. I love you so much it is hard to put in words how much. I know times have been hard, but I am always here for you. I will always be here for you. Happy Birthday & Happy Mother’s Day! To many happy years and an exciting new stage of your life. A beautiful beach house & tiered gardens await! I stared at the card for a full 30 seconds, just letting it sink in. The tears welled up in my eyes, but with a table full of people staring at me in the middle of a beautiful restaurant, I managed to keep them there. They did not spill over, which I am thankful for because I am not great anymore at stopping those tears once they spill. I kept them all inside until this morning, when I re-read the card and let the full impact of my emotions envelop me. I have so many things to be thankful for not the least of which is the love and understanding of my family, especially my beautiful boys. I am a truly blessed Mommy! ← Hey baby, what’s your sign? 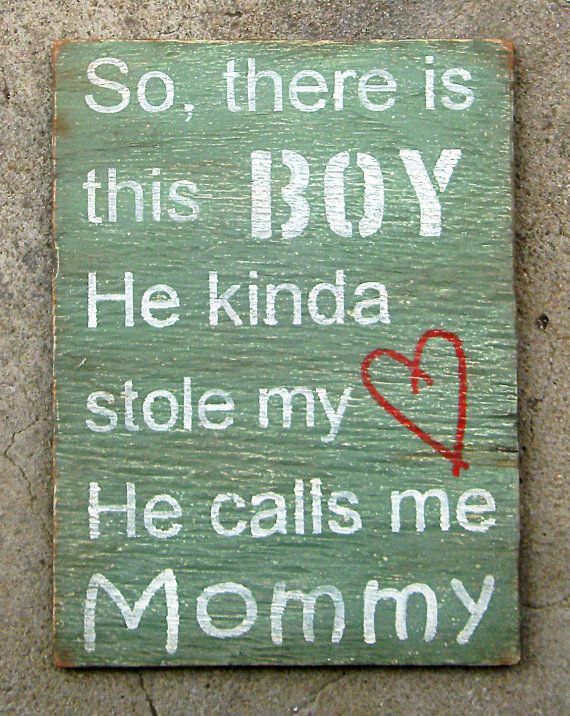 I love the plaque too (it’s on Etsy) and I adore my boys and they both still call me Mommy even at 23 & 21. I didn’t even realize how much I love the name Samuel until I named my sweet boy Sammy. I received more phone calls, texts, Facebook HB’s, emails, cards, and well wishes than ever before. It was a great day! You have just expressed in your own words the definition of a true blessing. I hope your birthday brought you everything you wanted… and more. Happy Birthday! So happy for you! Your boys sound delightful.